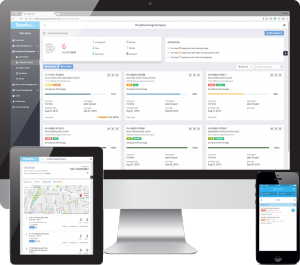 Field service management software (FSMS) is a great resource for companies that provide installation, service, or repairs. If you are planning to purchase one for your organization, you must be well aware of the benefits that come with it. The challenge lies in the next phase while selecting the right software since there is a pool of options available in both paid and free category. The following points would serve as a great checklist to evaluate your options and select field service software for your company. A lot many times executives and business owners rush into buying a software without assessing their actual needs in detail. Don’t just go for a famous software or the one your competitor is using currently. Rather, check what your services are and which software is providing a better edge in establishing your business better. If you are already running a successful business, you will have to keep in mind that consistent expansion outgrows the current system. Does the software you plan on hiring come with the ability to adapt to the growing needs of your organization? Several companies have different norms and requirements that software can cater to. Say you are in need of adding work order functionality or you need to perform asset management in detail. Firstly, list down your primary requirements such as tracking work orders, providing job history, scheduling management, and listing inventory to gauge the software’s competency. Secondly, start matching it with the primary features of the software. The one that matches all your needs is the one your organization needs. Some of the software even comes with an intelligent feature that helps in improving visibility by forecasting the business. Such self-learning software is dynamic which learns from the business and help improve operations, scheduling, and employee performance. The true functionality and benefit of any FSM will only come to fruition when your team can utilize it to the max. Whenever you make a comprehensive list of software to upgrade, it is a good time to check with your team members too. Incorporate their requirements and their feedback so that when they use the FSM, it optimally helps them and eventually your organization. Any software today should provide your onsite and backend team to update or access data in real-time. Look for software that can offer a way to incorporate photo capture and signature to confirm proof of completion and automatic invoicing. This reduces the management hassle and uses it to focus on growth. Also, make sure that the software provides secure access to data since there will be sensitive information about your business and the clientele. Any security risk that comes with the software can be a dent in your business plans. One of the biggest factors that come in any decision making is the cost. Depending on the features you require and the size of your organization, the pricing of a Field Service Management will vary. You can do away with a cheaper yet robust option if you have a strong in-house technical team to provide real-time assistance. There are numerous FSMs available today that provide flexible features with subscription models with scalable packages. Apart from the cost of software, consider the cost that will go in maintenance, technical support, training, setup fees, and physical or cloud storage needs when required. 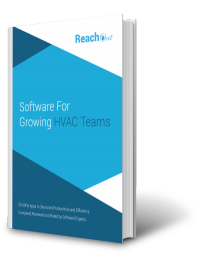 If you are planning to purchase a Field Service Management Software, a great way is to partner with a software solution giant like us. We will understand your needs, suggest the right way ahead, and even offer a solution that will help you grow astronomically.